Now that he has become the only player to score 400 goals in the Spanish La Liga, Lionel Messi still has a major challenge ahead of him. 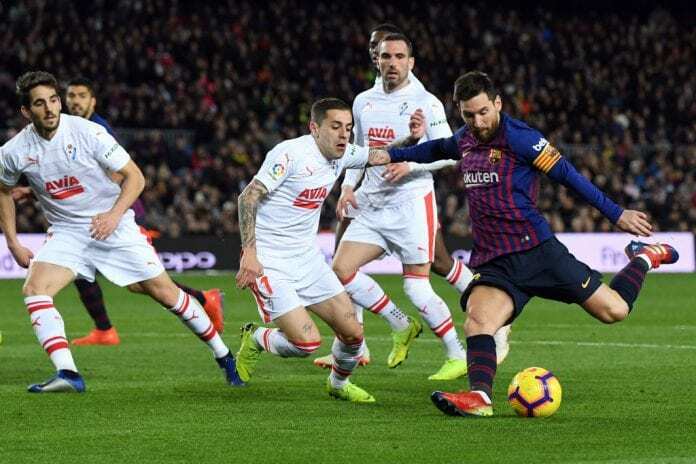 The goal that Lionel Messi scored against Eibar last weekend and granted him the honor of becoming the first player to reach 400 La Liga goals, was only a record that helped him become the first player to achieve such milestone in the Top 5 European leagues. With this achievement, Lionel Messi surpassed Gerd Müller’s 365 Bundesliga goals for Bayern München between 1965-1979, and Jimmy Greaves’ 357 goals in English football that came during his time at Chelsea, Tottenham Hotspur, and West Ham United between 1957-1971. But the real challenge for Messi is still far away, there are three other players from lesser European leagues who scored more than Messi and he still has a long way to go if he wants to be the absolute best. According to the FC Barcelona official website, the Argentine is only three goals away from the all-time top-scorers’ podium. This spot is currently occupied by Serbian striker Stjepan Bobek, who scored 403 goals in the already extinct Yugoslav League between the years 1945 and 1958. Messi will have no problem reaching this third spot within the next month, he may even get it next weekend as Barcelona play against Leganes at Camp Nou next Sunday. The next in line to beat is Scotsman Jimmy McGrory, who played most of his career for Celtic in the Scottish League from 1932 to 1938 and scored an impressive 410 goals during his time as a professional. This second place in the podium is currently an achievable objective for Lionel Messi, he may have no problem scoring another eleven goals in order to get that second place and start thinking about the next target on the list. But that first place is something that may not be as easy to get, because we are talking about the absolute king of league goals in European football history. We are obviously talking about Austrian striker Josef Bican, a mythical forward who played in the Czechoslovakian league from the year 1931 to 1955 and scored an incredible 500 goals during his time in the already extinct country. Bican is widely known for scoring hat-tricks in the league on a regular basis, his best time came during his eleven years playing at Slavia Prague between 1937 and 1948. This man is the figure that stands between Lionel Messi and the ultimate league goal-record, something that must motivate the Argentine greatly. But in order to reach 500 La Liga goals for Barcelona, Lionel Messi has a few steps to take first. Getting to this number would mean that he can’t leave the Catalan club and really retire from football while still wearing those colors. Scoring 100 more goals in the competition would mean that he needs to at least get thirty per-season for the next three years and he might be able to accomplish it as long as he remains at the same level we get from him today. This is arguably one of the most demanding challenges that Lionel Messi has ahead of him, staying in Barcelona for the next four years is something completely plausible and scoring another 100 goals is arguably one of the main reasons why he would decide to stay until his contract ends. We can already tell you that Messi can easily score another 20 La Liga goals in the remaining season, which means that starting next season, he would be only 80 goals away from Bican’s record and still at a high level of performance. In fact, we believe Messi will still try to play the next World Cup in Qatar 2022 and he will try to remain at the top of his game in order to do so. How many seasons do you think it may take Messi to reach Josef Bican’s 500 league goals? Please share your opinion in the comment section down below.